Austin Gibble has been selected by the National Center for Transit Research as their Student of the Year for 2016. 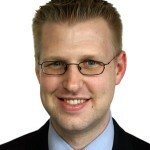 Austin has previously worked for the Central Indiana Regional Transportation Authority and conducted outreach work for the Indianapolis Metropolitan Planning Organization. Austin’s work at USF includes research regarding electric vehicles, equity in transportation investments, freight and livability, complete streets and access to transit, the integration of shared mobility services, benchmarking surveys, and transportation network company regulations. Austin is also the President of the LiveMove USF Student Organization, an organization dedicated to active transportation, and Vice President of the USF Student Planning Organization. Austin’s current cumulative GPA is 3.9 on a 4.0 scale. Austin’s most notable work is a report that examines equity in transportation investments, develops a new methodology for identifying communities of concern, and examines the impacts of transportation investments on these communities. The report has been submitted for presentation at the 2017 National APA Conference in New York City. After his time at the University of South Florida is complete, Austin intends to enter the field of urban planning, focusing on transportation issues such as public transit and bicycle/pedestrian planning as well as land use. Katrina Corcoran has been selected by the National Center for Transit Research as their Student of the Year for 2015. Katrina received her undergraduate degree in Interdisciplinary Social Science and Economics from the University of South Florida (USF). While completing her undergraduate studies, she worked as an Undergraduate Research Assistant at the Center for Urban Transportation Research (CUTR) at USF, where she worked on topics such as Complete Streets, transit demographic analyses, collecting and analyzing data from the National Transit Database (NTD) for Florida transit agencies, and transit safety in the U.S. using the NTD. The topic of her Undergraduate Honors Thesis was transit safety. As a graduate student in the Master of Urban and Regional Planning program at USF, she continues her work at CUTR as a Graduate Research Assistant, working with NTD and safety data, and looking forward to new work in the area of automated transportation. Ms. Corcoran was selected as Outstanding Student of the Year due to her exceptional work performance, during which she has impressed her supervisor and others at CUTR with her diligence, thoroughness, and dependability. Her work at CUTR, along with her other academic work, not only inspired her to write her Undergraduate Honors thesis on the topic of transit safety, but has inspired her field of graduate study and the pursuit of a career in public transportation planning. Ms. Corcoran definitely has a bright future among the next generation of public transportation professionals, and is most deserving of the recognition as Outstanding Student of the Year. Marea Pappas has been selected by the National Center for Transit Research as their Student of the Year for 2015. Marea is a native of Bryan, TX, received her bachelor’s degree in International Business from Sam Houston State University, and recently graduated with a master’s degree from Texas A&M University in Agricultural Economics. Marea interned with the Food and Agriculture Organization of the United Nations (FAO) where she explored the contribution of smallholder livestock production systems to poverty reduction and economic growth. As a graduate research assistant at the Texas A&M Transportation Institute, Marea investigated the nexus of transit and livability at the community level by distributing surveys and analyzing data. She then assisted in documenting the results of case study findings in rural America for specific stakeholders to benefit transit agencies, rural communities, and policy makers. She was also a fellow with the Global Cold Chain Alliance (GCCA) providing project management support to activities that connect GCCA members to international opportunities related to agriculture supply chain, trade, and private sector investment. Marea’s academic background and experience has strengthened her desire to work with developing countries in securing sustainable resources. She currently assists Food for the Hungry (FH) as the Food Security and Livelihoods Program Coordinator, increasing long-term development through the vision and mission of FH. Marea was selected for this award because of her academic achievements, enthusiastic contribution to rural transit research, and future contributions to the transportation sector. 2015 had two awardees for Student of the Year. Katrina Corcoran received the 2015 Student of the Year for the Transit-Focused grant for USF and Marea Pappas received the 2015 Student of the Year award for the Livability grant for Texas A&M. Patrick Buddenbrock has been selected by the National Center for Transit Research as their Student of the Year for 2014. Patrick Buddenbrock E.I. is a National Center for Transit Research Graduate Research Assistant at the University of South Florida. Patrick Buddenbrock excelled in the classroom achieving a 3.87 GPA, was fully engaged in classroom discussions, and showed a willingness to help other students grasp key concepts. He assisted with and co-authored a report for the Florida DOT that addressed the impact of Transportation Demand Management techniques on managed lanes in the Miami, Florida I-95 corridor. He also co-authored a research paper based on the report that was accepted for publication and presentation at the 2015 TRB Annual Meeting. Patrick wrote a white paper providing insights to how public transit can be utilized as a supplement to public schools’ yellow bus service. He also delivered a presentation as part of a student team to the FDOT Secretary and all district secretaries that provided various options on the characteristics and features of future major corridors in Florida. Patrick received his Master of Civil Engineering degree focused on Transportation Engineering in December 2014. He served as Vice President of the Chi Epsilon Civil Engineering Honor Society, and is a member of the Tau Beta Pi Engineering Honor Society, ASCE, and ITE. He is a US Navy veteran with a strong construction background. Patrick was the first recipient of the National Center for Transit Research Graduate Research Assistant Scholarship intended to guide graduates towards careers in public transportation. USF is very proud of his contributions and especially pleased that he has accepted a position as Project Engineer for the Region 1 Office of the Federal Transit Administration in Boston starting in January 2015. Sherrell Lall has been selected by the National Center for Transit Research as their Student of the Year for 2013. Sherrell, who maintains a 3.89 GPA, is graduating in December of 2013 with a dual Masters Degree in Civil Engineering and Engineering Management. During her tenure at USF, she has served as Secretary of the USF Student Chapter of ITE, and has been an active member of a number of professional associations including the USF Society of Women Engineers, the National Society of Black Engineers, and the American Society of Civil Engineers. She has also been active in a number of community service agencies. 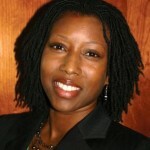 Sherrell co-authored two professional papers and made three presentations in professional forums. 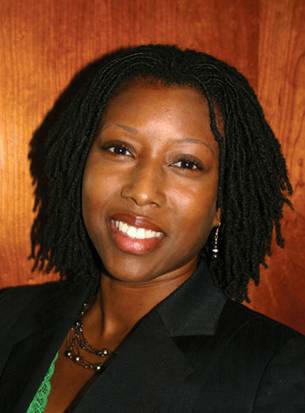 In addition to her high achievements in class, Sherrell has been a co-principal investigator on three research projects funded by the Florida Department of Transportation including “Landscaping of Highway Medians and Roadway Safety at Intersections,” “Florida Minority Taskforce on Occupant Protection,” and “Improved Traffic Control Measures to Prevent Incorrect Turns at Highway-Rail Grade Crossings.” In the last project, she conducted an extensive literature search, analyzed large databases, helped determine the intersections to study, and generated potential treatments to improve safety for trains and other vehicles at railroad crossings. Sherrell has always produced high quality and timely work, has set a wonderful example for her peers, and exhibited professionalism and leadership. We also join in Sherrell’s happiness in being sworn in as a U.S. citizen this year. Kyle Taniguichi has been selected by the National Center for Transit Research as their Student of the Year for 2012. Kyle assisted in the production of several Florida “Trends and Conditions” reports which examine how Florida’s transportation system has changed over time. He helped produce the Florida Transportation Pocket Guide and was the lead analyst in examining travel in Florida using the 2009 National Household Travel Survey. Kyle interned at FTA where he managed research grants, participated in field visits, witnessed the implementation of the transit safety component of the new MAP-21 bill, and learned about the federal New Starts program. He is a young member on the TRB Light Rail Transit Committee and serves on APTA’s Scholar Committee. He has held several officer positions with ITE. Kyle’s career goal is to make public transit more efficient and effective by doing planning and operations work that makes a difference in the daily travel of those that use transit. Tara Rodrigues was initially hired as an undergraduate research assistant pursuing a Bachelor’s degree in Civil Engineering in the spring of 2009 to assist with work being conducted for the Florida Department of Transportation (FDOT) and for the National Bus Rapid Transit Institute (NBRTI). She continued on as a graduate research assistant pursing a Master’s degree in Civil Engineering while contributing significantly to the completion of several CUTR projects. While her excellent performance on a NCTR project was a primary reason for her nomination as Student of the Year, Ms. Rodrigues’ other accomplishments should not be ignored. She single-handedly sorted through a large amount of Automatic Passenger Counter (APC) data and condensed it into a format usable for the required analysis for an evaluation of the Los Angeles Orange Line bus rapid transit (BRT) system. Second, she gained significant expertise with National Transit Database (NTD) information through her assignment to annually collect and compile NTD data for each reporting transit agency in the state. These data are used in the annual Florida Transit Handbook and for other ongoing technical assistance to FDOT. The first time she worked with the NTD, she took the initiative on her own to streamline and improve our existing methods for compiling these data. The result is that CUTR is now able to compile and report these data more quickly and more accurately than before. In addition to her contributions to NCTR and other projects, Ms. Rodrigues also exhibited leadership skills and professionalism in her encounters with other students, staff, and faculty at CUTR. Tara Rodrigues exemplifies the goal of NCTR in employing talented students on research projects and preparing them for a career in the field of transportation. Enrique Gonzalez-Velez is a Doctoral Candidate student in the Civil and Environmental Engineering Department at the University of South Florida. He is employed at USF’s Center for Urban Transportation Re-search (CUTR) as a Graduate Research Assistant in the ITS Traffic Operations and Safety group and has worked with the NCTR for several semesters. Through his studies and work, he has developed an impressive set of credentials, worked on several safety topics, and has a solid track record of presentations and papers. Prior to coming to USF, Enrique earned a Master of Science degree at the University of Puerto Rico at Mayagüez and received the Dwight David Eisenhower Transportation fellowship for a Hispanic Serving Institution. During his Ph.D. studies at USF, he received the South-eastern Transportation Center Outstanding Student Award for Region 4, the Anne Shanklin Brewer Scholarship from the Intelligent Transportation Society of Florida, and the Georgia Brosch Memorial Transportation Scholarship from CUTR. In the past year, Enrique has assisted in the research of several NCTR projects, including Moving the Bus Safely Back into Traffic and Evaluation of Camera-Based Systems to Reduce Transit Bus Side Collisions. Both of these projects proved, through rigorous field testing, that accidents and traffic delays could be reduced through the use of new equipment and technology on transit buses. He presented the results of his research at two professional conferences in 2010 and presented the findings at the TRB Annual Meeting in 2011. He has been an active member of the ITE Student Chapter, serving in several officer positions. In addition, he is a Young Member of the TRB Committee on Visibility (AND40) and the Transportation Safety Council of ITE. Enrique hopes to perform more research in transit safety and has a strong interest in the evaluation and implementation of new technologies that can be used to improve the operation and safety of the transit industry. Sean’s duties includes the research and development of location-aware cell phone technology, the supervision of six undergraduate and graduate Computer Science students on software engineering project tasks, management of intellectual property produced by the projects, managing the information technology infrastructure for the projects, and maintaining an ongoing relationship with cell phone device and service industry partners. He is a co-founding faculty member of the USF Location-Aware Information Systems Laboratory (LAISL). Sean’s contributions to the NCTR projects has been nationally and internationally recognized in 2008 with seven peer-reviewed papers & presentations for a variety of organizations, including the 15th World Congress on Intelligent Transportation Systems, Computer Communications magazine, and UBICOMM 2008 – The Second International Conference on Mobile Ubiquitous Computing, Systems, Services, and Technologies in Valencia, Spain. The “Travel Assistant Device (TAD)” project, aimed to increase the independence and quality of life for special-needs transit riders, continues to receive particular attention and has been recognized in the 2008 TCRP Synthesis 73 – AVL System for Bus Transit: Update, the Microsoft Research Workshop on Intelligent Systems for Assisted Cognition, as well as the local print and broadcast media. Sean was also a co-recipient of USF’s 2008 Excellence in Innovation Award for the work performed on the NCTR projects along with the other four faculty members of LAISL. In 2008, he had one copyright issued and five patents filed on location-aware technology produced under the NCTR projects. He also continues to serve as a member of the “Java Specification Request (JSR) 293: Location API v2.0” international expert group that is responsible for defining the next-generation software standard for Java Micro Edition (Java ME) for mobile phones. NCTR appreciates Sean’s dedication to excellence and innovation, and looks forward to his continued contributions to the world of public transportation. Monique Ellis has been named the NCTR Student of the Year. She is a graduate research assistant at the Center for Urban Transportation Research at the University of South Florida (USF). She has assisted with the NCTR-funded project entitled, “Incorporating Transit and Other Multimodal Strategies into the Florida Department of Transportation Development of Regional Impact Review Process.” Her responsibilities involved performing literature summaries, documenting relevant performance measures, and researching potential interview questions to aid senior researchers in improving Florida Department of Transportation’s abilities to encourage multimodal mitigation strategies for developments of regional impact. Monique has also assisted with other non-NCTR projects, including providing research support for a white paper assessing various financial or in-kind contributions from land developers and a technical memorandum documenting improved mobility techniques for state roadway facilities. Monique is pursuing both a master’s degree in civil engineering and a graduate certificate in interdisciplinary transportation studies—comprised of courses in transportation engineering, public administration, and economics. Prior to attending USF, she received her bachelor’s in electrical engineering from the Rochester Institute of Technology. Monique is the current secretary of the USF student chapter of the Institute of Transportation Engineers, and recipient of the Louis T. Klauder Scholarship Award and Southeastern Transportation Center Student Fellowship. Upon graduating from USF in May 2008, Monique has an interest in pursuing a career in public transportation planning or management. Oliver Page, a Ph.D. candidate in Civil Engineering, has been selected as the 2006 NCTR Student of the Year. Oliver has made substantial contributions to a number of projects funded through the National Center for Transit Research, including “Developing Bus Transfer Centers for Maximum Transit Agency and Community Benefit” and “Transit Use Viability Among Older Drivers Losing Driving Privileges,” the latter being the topic of his doctoral dissertation. He provided substantive assistance in a recently completed Transit Cooperative Research Program report entitled “Guidebook for Evaluating, Selecting, and Implementing Suburban Transit Services” and co-authored a white paper on “Rapid Transit Options for Miami Beach.” His paper entitled, “Equity Impacts and Challenges of Highway Access Management in an Emerging Economy – South Africa at the Crossroads” has been published in Transportation Research Record #1939, of the National Research Council. He has presented findings of his NCTR research at state and national professional transportation conferences. In addition to his research activities, Oliver was a teaching assistant for the course entitled “Transportation and Society” and served as President of the student chapter of ITE at USF. He plans to continue to conduct research and teach in the field of transportation. “Oliver has made outstanding contributions in every phase of our work at NCTR. He has completed meticulous research, has assisted in teaching transportation courses to undergraduates, and has been a leader in our student chapter of ITE. He has set a very high standard for future applicants for this award. 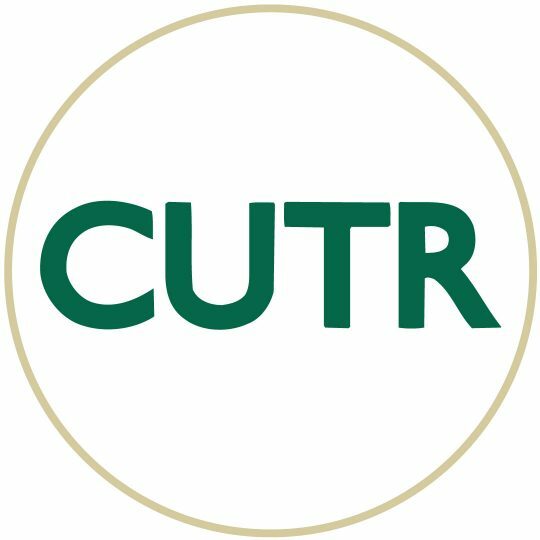 We thank him for his service, and congratulate him on this award,” said Joel Volinski, Director National Center for Transit Research at CUTR. Ms. Flynn earned a bachelor’s degree and a 3.9 GPA in Urban Geography at the College of Arts and Sciences at the University of South Florida (USF) in June of 2002. Upon graduation, she began employment as a graduate research assistant at the Center for Urban Transportation Research (CUTR). Her work included various projects for the National Center for Transit Research (NCTR), the Florida DOT, and county funded research. Jennifer is skilled in spatial data analysis using Geographic Information Systems (GIS), thematic map design, database development and management, research and promotional writing, and surveying. She also served as liaison for several outreach and educational initiatives at CUTR. Jennifer went on to receive her Master’s degree in geography with an emphasis in urban and transportation planning and was hired as a Research Associate at CUTR. Her research interests include GIS, transit market analysis, women’s transportation issues, the community impacts of planning policy, and Bus Rapid Transit, a subject in which she works closely with the Federal Transit Administration. Melissa Salzler is an Outreach Coordinator for the New North Transportation Alliance in Tampa, Florida. She earned a bachelors degree and a 3.36 GPA in Advertising at the College of Mass Communications at the University of South Florida (USF). As a freshman, she began as an undergraduate research assistant at the Center for Urban Transportation Research (CUTR). Her work includes various projects for NCTR, the Florida DOT, and city funded research. Melissa is skilled in the creation of training manuals, National Transit Database reports, database development, surveying, Transportation Development Plan (TDP) inventories. She has also managed research surveys for the university shuttle system. Her transportation history and mass communications background compliment each other as an Outreach Coordinator. Melissa currently is working to strengthen the relationship between transportation and the community. She will begin a Masters of Business Administration program in January 2005. After earning a BA in Anthropology from the University of South Florida in 1997, Lisa remained at USF to attend graduate school, earning her Master’s degree in Applied Anthropology in 2004. During each semester of her graduate coursework she was awarded a research assistantship through the Department of Anthropology, and maintained a GPA of 3.90. As part of her internship and thesis research, Lisa worked with agencies at the local, state, and national levels to develop an innovative interpretive program for a local public education center. While serving as a graduate research assistant, Lisa made significant contributions to various transit research projects under the National Center for Transit Research. Lisa worked closely with faculty researchers on the NCTR Assessment of Operational Barriers and Impediments to Transit Use project, and was an invaluable member of the research team. Her attention to detail and commitment to rigorous research design and conduct significantly contributed to the project’s success. Lisa went on to work for both the National Center of Senior Transportation and the Community Transportation Association of America after graduating in 2004. Ms. Goodwill earned a Bachelor of Science in Human Resource Development from the University of Florida awarded in May of 2001, with a final grade point average of 3.8. In August 2001, Julie enrolled in the University of South Florida (USF) Master of Public Administration Program. She graduated from this program in December 2003 with a grade point of average of 3.88. In addition to receiving her MPA degree, Julie also earned a Graduate Certificate in Nonprofit Management through the USF Public Administration Program. In May 2002, Julie joined the USF Center for Urban Transportation Research (CUTR) as a graduate research assistant assigned to the Transportation Demand Management Team, where she quickly became a valued and trusted contributor to a number of research reports. Ms. Goodwill was the Co-Principal Investigator for the National Center for Transit Research (NCTR) report: “Building Transit Oriented Development in Established Communities.” Julie also contributed to the NCTR report entitled: “Commuter Choice Manager and Parking Managers Coordination.” Currently, Julie is completing the NCTR project entitled: “Evaluation of Shared Use Park & Ride Impact on Facility Providers.” In November, Julie and her co-researchers made a presentation on this project at the Florida Public Transportation Association’s Annual Conference in Key West.